are those who try to make their ideas come true。It represents the spirit of thingking big and acting big. It also indicates the coming of a new era. 「Tsinghua University Makerspace」 trys to lower the technical barriers as much as possible and lets everybody to experience the joy of creating. 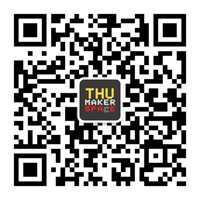 「Tsinghua University Makerspace」 has over 1000 registered members now and one third of them are from none engineering background. We believe makers need to have basic knowledge of design. Only when we put design thinking into everyday life can we make beautiful projects. 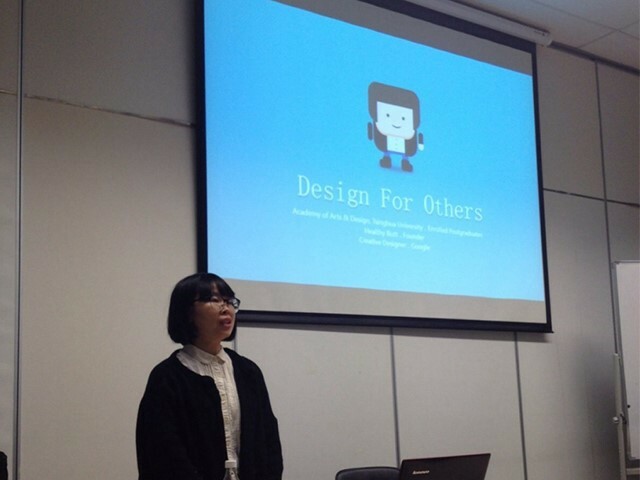 「Tsinghua University Makerspace」 trys to combine design thinking in routine training. We think true makers should not work behind closed doors. Communication can generate idea spark. That's why we try hard to hold all kinds of events and competitions. 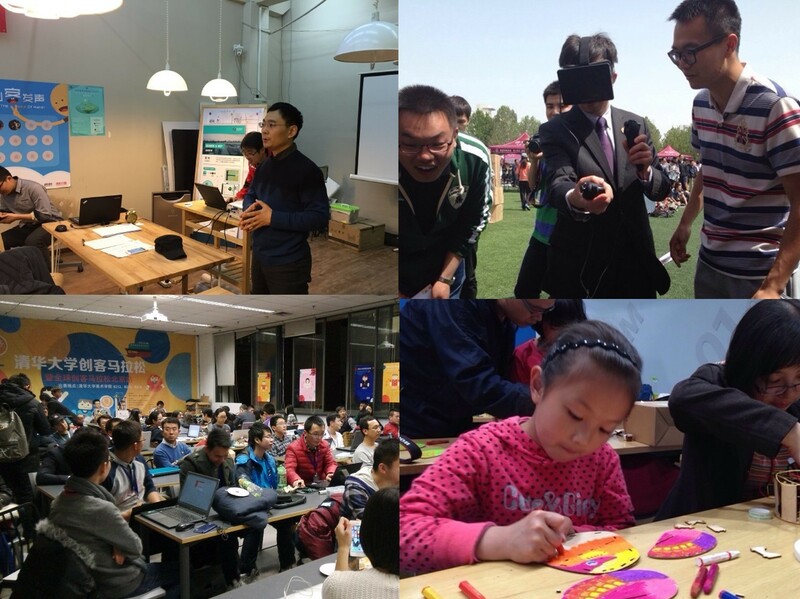 「Tsinghua University Makerspace」 has held over 100 events and there were over 4000 people attended, covering people on campus and off. 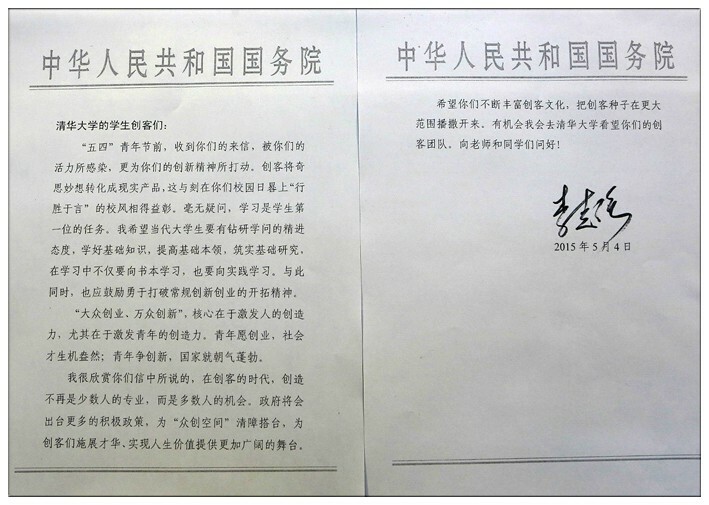 Prime Minister Li Keqiang wrote back to Tsinghua Makers on the Youth Day. He admired our work in maker movement and encourage us to enrich the culture of maker and sow the seeds of maker culture in greater scope. Click to see the repot in Chinese government's website.